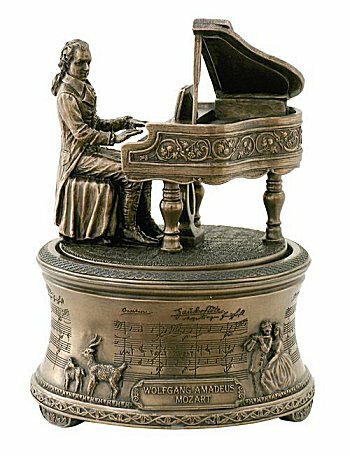 A bronze sculpture of Mozart rotates as the music box plays, "The Magic Flute." It will delight any classical musician or music lover especially a Mozart Fan and will be a perfect addition to any collection. It measures approximately 6.5"